The government has vowed to build more affordable houses and help people buy and rent, after admitting the current market is "broken". The new housing strategy for England includes giving councils powers to pressurise developers to start building on land they own. Ministers also pledged to make renting more "family-friendly" with longer tenancies offered. Labour called the measures announced "feeble beyond belief". Housing crisis: Why not use empty homes? Mark Easton: How radical are the plans? Will it get easier to build on the green belt? The government says at least 250,000 new homes are needed each year to keep pace with demand and councils and developers need to "get real" to the scale of the challenge. Maintaining protection for the green belt, which can only be built on "in exceptional circumstances"
Introducing banning orders "to remove the worst landlords or agents from operating"
So-called starter homes, championed by former Prime Minister David Cameron, will be aimed at "households that need them most", those with combined incomes of less than £80,000, or £90,000 in London. Starter homes are new homes built for first-time buyers between 23 and 40 years old and sold at least 20% below market value. The maximum price after the discount has been applied is £250,000 outside London and £450,000 in the capital. 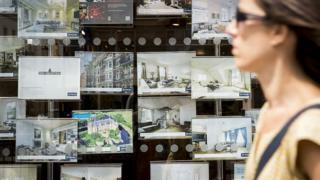 Under the new proposals, starter home buyers will need a mortgage, "to stop cash buyers", and some or all of the discount will have to be repaid if the property is resold within 15 years, "to reduce the risk of speculation". A proposal that 20% of all larger developments had to be starter homes is to be dropped and replaced with a "clear expectation" that at least 10% of developments will be "affordable home ownership units". Ruby Willard, a recruitment consultant, and engineer Sam Bardell bought a £182,200 two-bedroom terraced house in Havant, Hampshire, last year. They took advantage of the government's Help to Buy Isa, but to save for the £18,000 deposit, it was a case of being "quite tight", she says. "I get commission and Sam gets overtime so we probably earn £55,000 overall, which meant we were in a position we could borrow maybe more than people on minimum wage." 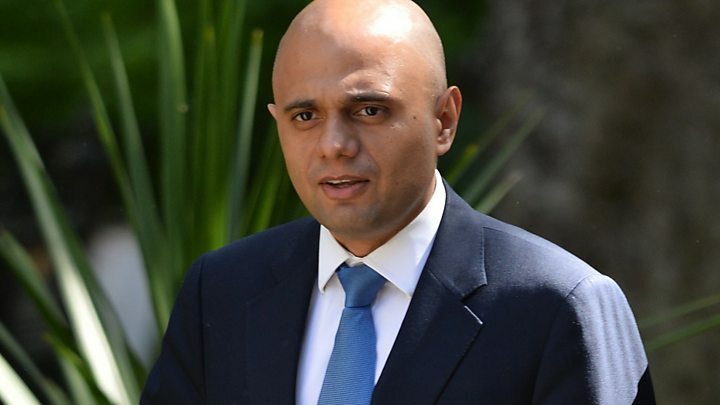 Mr Javid said: "Walk down your local high street today and there's one sight you're almost certain to see: young people, faces pressed against the estate agent's window, trying and failing to find a home they can afford. "With prices continuing to skyrocket, if we don't act now, a whole generation could be left behind. We need to do better, and that means tackling the failures at every point in the system. "The housing market in this country is broken and the solution means building many more houses in the places that people want to live." Mr Javid admitted there was "no one single magic bullet" and there had to be a "proper conversation about housing need". Ministers have admitted the government is behind schedule in its efforts to build one million new homes in England by 2020. What does 250,000 houses look like? For Labour, shadow housing minister John Healey said: "We hoped for better and we needed better. His disappointment will desperately disappoint millions of people struggling to cope with a housing crisis. It was feeble beyond belief." He added: "We were promised a White Paper; we are presented with a white flag." The Lib Dems criticised the "utterly vacuous" proposals for not mentioning the government's stated aim of a million new homes by 2020, a target ministers have insisted they are still aiming for. This government seems to speak with two voices on housing: the communities department wants to shift the balance of power firmly towards new development in places people want to live, but Number 10 and some influential Tory backbenchers are sympathetic to the passionate concerns of those who wish to protect the countryside and particularly the green belt. The real question that lies behind all the rhetoric and policy bullet-points is whether the balance of power between development and local opposition has fundamentally changed. Ministers now accept England needs 250,000 new homes every year, they have described the housing market as "broken" and they agree that radical change is the only way to mend it. But many have yet to be convinced that this White Paper amounts to a "realistic plan" to achieve that. Former Conservative housing minister Grant Shapps told the BBC's Daily Politics the problem would not be solved simply "by slotting in a few more homes in converted former industrial sites". He added: "Housing ministers over the years have come out with documents or bills, and the truth is none of them are going to make much difference - and I don't suppose this will make that much difference either. "The reason is this - unless you build literally two, three, million more homes then you're not going to solve the problem." The Local Government Association said the White Paper contained "some encouraging signs" on increasing housing supply and affordability. It welcomed the new "flexibility" around starter homes and called for new power and funding to allow councils to build affordable homes directly. The Campaign to Protect Rural England welcomed what it said was a focus on addressing current failings rather than "meddling" with the planning system. "We are pleased that ministers have recognised that weakening the Green Belt is unnecessary," said chief executive Shaun Spiers. "But with 360,000 houses already proposed for Green Belt land the government needs to do much more to uphold national policy and stop councils releasing it for development." Daniel Bentley, editorial director at the think tank Civitas, said: "The problem is not sites with planning permission standing idle, except in limited circumstances. "It is with sites that are being developed, but too slowly to get ahead of demand and make any difference to the affordability of housing." Graeme Brown, interim chief executive of the homelessness charity Shelter, said: "The White Paper poses the right questions. What we need now is quick and bold action that helps people in need of a decent home tomorrow, not in 10 years."